Herniated disc injuries occur when one or more of the discs that separate the vertebrae in the spine slip out of position or bulge from their normal places, putting pressure on the nerves in the spine and causing pain. Many people sustain injuries that cause herniated discs at work, which can lead to the need for time off, chronic pain, and even surgery. 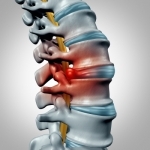 There are many different types of spine surgery procedures. One person undergoing spine surgery in Miami might have a fusion procedure, while another person has a laminectomy. Back pain can also be treated through nonsurgical means. However, what all these different treatments have in common is that it’s important to go through a period of physical rehabilitation afterward. There are many possible causes of back pain. If you suffer from back pain and live in Miami, the best way to get at the root of the problem is to consult a spine doctor. He or she can give you an accurate diagnosis for the problem and recommend appropriate treatment options for your back. If you have been diagnosed with spinal stenosis in Miami, you may be wondering about the nature of this condition. Characterized by a narrowing of the spinal canal, spinal stenosis often leads to cramping in the legs, balance problems, persistent back pain, tingling in the hands and feet, and weakness or numbness in the extremities. Are you experiencing upper back pain near Miami? There are numerous possible causes of upper back pain, including a herniated disc and stenosis of the spine. As with other types of spinal conditions, upper back pain is often rooted in poor posture.